If you dream of your bedroom being a quiet, peaceful retreat, begin with a neutral color palette. 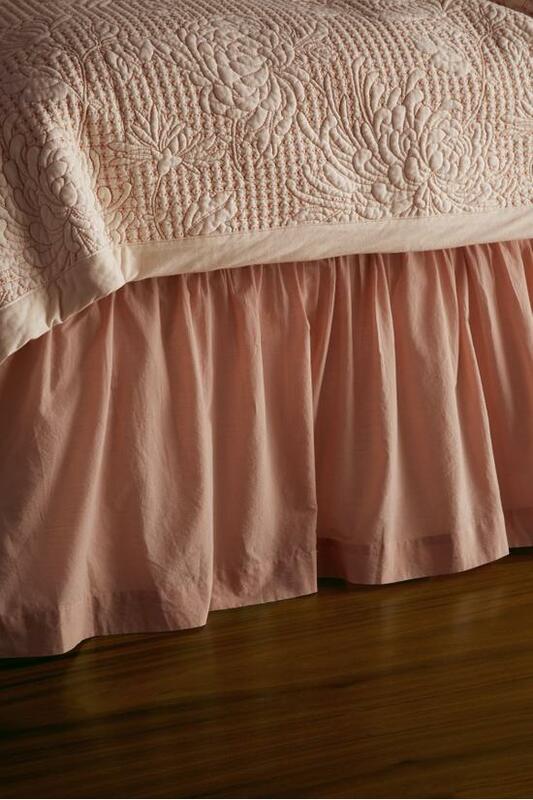 Our Semplice Ruffled Bedskirt in apricot is a great way to bring in a calming neutral to soften other patterns in your bedding mix. 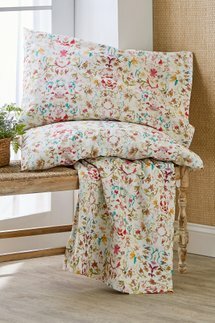 "Semplice" is the Italian word for simple, and that's the perfect way to describe the soft, clean gatherings and overlapping corners of this terrific bedskirt. Gentle gathering to create soft ruffle. Queen: deck, 60"W x 80"L.
King: deck, 76"W x 80"L.
Machine wash cold, Gentle cycle, Only non-chlorine bleach when needed,Tumble dry low, Cool iron if needed, May be dry cleaned.